Leading Supplier and Distributor of our product range includes Custom Industrial Label such as Battery Labels, Beedi Labels, Auto Parts Labels For Automobile Industry, Label For Chemical and Labels For Garment Industry. We offer a wide range of sheet labels, that come in the form sheet.We also offer these labels in the customized forms as per the desired requirements of the clients. We offer labels in roll form efficient and completely automated production. 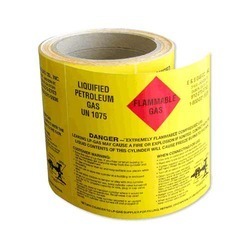 These labels are long lasting, attractive and competitive in price, which makes it a demanding product in the industry. We are leading manufacturer of Labels For Automobile Industry. 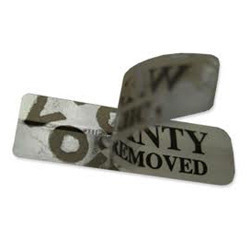 For security purpose we can make custom made holographic hot stamping label. We can also print with security inks with different properties like inks visible in uv light only, ink that change color at particular temperature and many other. With the help of our talented graphic designers, we have been able to offer an attractive range of Labels For Garment Industry. Exclusively designed and developed these sheets are widely demanded owing to eye-catching designs and unique shades. These are developed using the best available technologies and following international industrial standards. We offer sheets in various standard sizes and colors as per the exact requirements of clients. Looking for Customised Industrial Label ?